NABS members accessing arch AZ-116 in the Eagletail mountains on Saturday, Feb 13, 2016. Lovely Triple Eye Arch in the west Eagletail mountains. NABS members climbed high up to get near this one. 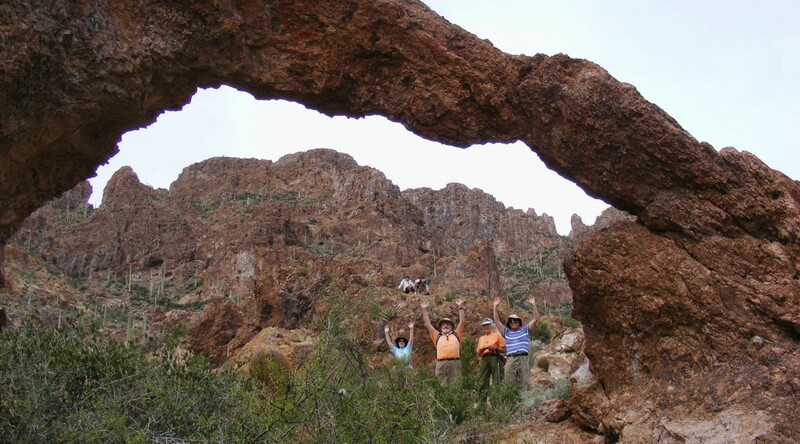 Crazy 8 Arch was also visited by NABS members on Saturday in the west Eagletail mountains. Triple Eye Catchment Arch was discovered by Larry Beck and Bob Mapes while exploring an area near Triple Eye Arch. It is named for the wildlife water catchment that is nearby. Hag’s Tooth Arch on Three Arch Hill in California. David Alexander (left) with Bob and Marcia Mapes. 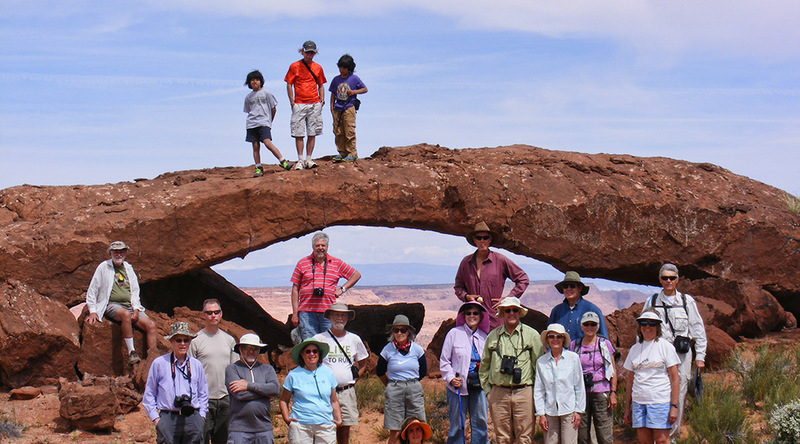 The Natural Arch and Bridge Society Spring 2015 Arch Rally was held in Escalante, Utah, and had about 40 members in attendance. It was great fun with several trips daily. Here are some photos from the Rally (hover for caption; click for slide show). Alex R. near Broken Bow Arch. NABS members above Brimstone Arch. NABS members approaching 3 Caves rock art. Phipps Arch from across the canyon. NABS members approaching Broken Bow Arch. NABS members bagging Broken Bow Arch. Huge pothole behind Dance Hall Rock. Phipps Arch from a view-point. Trail view of Cliff House Arch. Peter J. and Gwenda F. under Broken Bow Arch. NABS members visiting Shakespeare Arch. 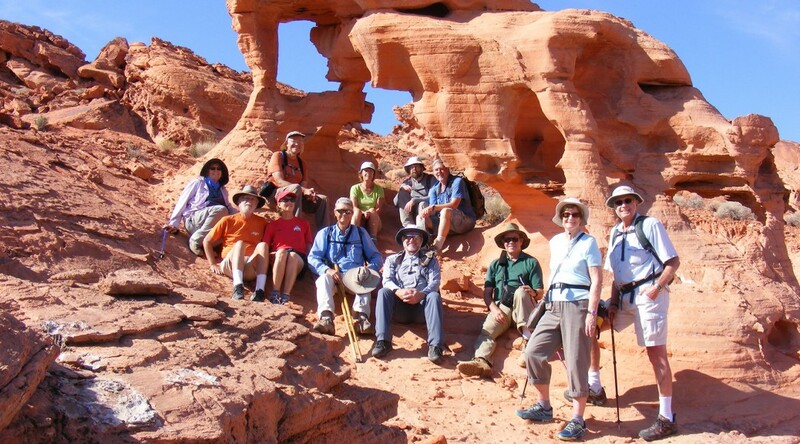 NABS members at Scorpion Arch. NABS members under Broken Bow Arch. Peter J. and Doug B. on Mano Arch. NABS members with Phipps Arch in distance. NABS members visiting 3 Caves rock art. Trail view of Escalante Natural Bridge. NABS members crossing the Escalante River. Larry B. on approach to Broken Bow Arch.